The online betting laws across Europe can be contrasting and difficult to get a handle on. Despite the EU wishing to promote free trade and competition, a large number of the member countries have implemented laws and regulations that are far more prohibitive and protectionist when it comes to gambling online. 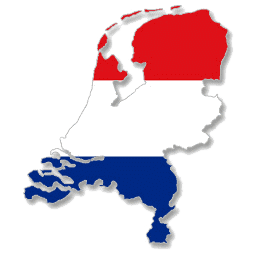 The government in The Netherlands are no different and we take a look at the current online betting landscape. Right now, we recommend that any Dutch resident should bet with any of the websites listed in the table below. Please take some time to review the sites and also look at the current climate outlined below. Gambling has been intertwined in Dutch culture for centuries. As far back as the 18th Century, there is evidence of organised betting. The Nederlandse Staatsloterij (national state lottery) was first established in 1726, making it the oldest running state lottery in the world. By the early 1900’s, there was a complete ban on sports betting and all other gaming activity, apart from the state lottery. This was in place until 1961 when sports betting was legalised as second state monopoly. In order to regulate all of the gambling within the country, the Netherlands Gaming Control Board was formed in 1996. The purpose of this new entity was to control the six betting monopolies in the country (All of the different formats of gambling that were legal). The Dutch government felt that by having a set company run each different facet of the betting market, they would be able to maintain a handle on the level of gambling, and the monitor practices of the firms selected. The explosion of the internet and the subsequent rise to prominence of online betting sites presented a new conundrum for not only the Dutch government, but those in power all around the world who wished to strictly regulate their citizens gambling activities. In a similar move to the United States, The Netherlands attempted to pass laws to ensure that banks would have to reject transactions requested by online betting companies not located in the country. However, these blocks were ignored by the banks who suggested they were unlawful. The sports betting monopoly is run by De Lotto. Bets can be placed on sporting events in the shops and through the Toto website. Compared to most bookmakers, the number of markets is very limited, with just betting available on Football, Hockey, Cycling, Formula One, Basketball, Baseball and Tennis. This is likely indicative of the low levels of trade conducted through the Dutch owned website. Several bookmakers such as William Hill, Betsson, Unibet and Expekt all used to offer their websites in the Dutch language, but the firms seem to have taken heed of the fines dished out by the Dutch gaming regulator Kansspelautoriteit, and have withdrawn this option to ensure they do not appear to be actively seeking custom. This is not too much of a hindrance for attracting sign-ups from the Netherlands, as it is estimated that 86% of the population are able to converse in English. However, Unibet and Betclic appear to have ignored the warnings and have continued with their operations to facilitate betting for Dutch citizens. Unibet offer customer support in Dutch for 16 hours a day and Betclic still have a Dutch translation option on their website. In terms of online casinos, there are actually betting firms that still market their services directly to Dutch citizens, despite the threats of sanctioned by the government. Oranje Casino and Kroon Casino, both licenced out of Malta, present their website in Dutch, offer sign up bonuses to Dutch customers and accept i-DEAL as a method of payment. In the light of the new legislation, the companies have been purchased by Scandinavian giant Betsson, who aim to have a strong opening hand when the regulated market opens. There are numerous different payment methods available for citizens of The Netherlands. As most of the major bookmakers offer their services to customers from the country, the regular options of bank wiring, Visa debit and credit cards, Mastercard and a plethora of e-wallets are available; Paypal, Moneybookers/Skrill, Neteller and the ever increasing in popularity Ukash option is also available. As mentioned above, some companies that specifically target Dutch customers (Oranje Casino & Kroon Casino etc.) also tailor their payment options, providing iDEAL, a popular payment intermediary used widely in the Netherlands. Undoubtedly the most popular sport in The Netherlands is football. The Dutch youth system is revered around the world and has produced household names such as Johan Cruyff, Edgar Davids and Robin Van Persie. However, despite the endless talent that has been produced at the footballing academies of Ajax, PSV and Feyenoord amongst others, the Dutch national side have never won the World Cup. Their best result was victory in the 1988 European Champions, but it would be fair to say that The Netherlands have not fulfilled their potential. The Eredivisie is the top league in Dutch domestic football and whilst it is not as strong as it used to be, it still fosters the talents of many young starlets before they move on to the major European clubs. Betting on the domestic league, as well as the English Premier League and elsewhere in Europe remains popular. The second most popular sport in the Netherlands is field hockey. Whilst they are a country surrounded by neighbours who have a passion for Ice Hockey, the Dutch appear to have a preference for keeping the game on grass and with a ball, as opposed to on ice with a puck. The men’s Dutch field hockey team has reached the final in four of the last five Olympic Games, winning gold twice. The women’s team is equally as dominant, and retained their status as the best team in the world, winning Olympic gold at London 2012. Domestically there are two leagues; Men’s Hoofdklasse and Women’s Hoofdklasse that are covered by the majority of the larger bookmakers during the season. Volleyball is also a popular sport and Muay Thai and Kickboxing have high participation rates, both recreationally and on a professional level, with famous fighter Bas Rutten being born in the country. The landscape is definitely about to change from a regulatory standpoint in The Netherlands. Online betting firms are rubbing their hands together at the prospect of gaining increased and legal exposure to a population who enjoy gambling. Companies are already jostling for position, with the likes of Betsson already positioning themselves well by acquiring companies which are well known by Dutch citizens. Ultimately the new regulation will open up the market, but will clamp down on individuals who use unlicensed websites, with taxes being imposed for those who ignore the guidelines and rules. This impresses the importance of betting companies satisfying the criteria required to legitimately operate within the Netherlands as of 2015. The Netherlands are historically a socialist country and there appears to be genuine concern from government to ensure that gambling is undertaken in a controlled and non-detrimental manner.